The Corrupting Power of Unchecked Ambition. The main theme of Macbeth-the destruction wrought when ambition goes unchecked by moral constraints-finds its most powerful expression in the play's two main characters. Macbeth (full title The Tragedy of Macbeth) is a tragedy written by William Shakespeare, and is considered one of his darkest and most powerful works. Set in Scotland, the play illustrates the damaging physical and psychological effects of political ambition on those who seek power for its own sake. The play is believed to have been written between 1599 and 1606, and is most commonly dated 1606. The earliest account of a performance of what was probably Shakespeare's play is the Summer of 1606, when Simon Forman recorded seeing such a play at the Globe Theatre. It was first published in the Folio of 1623, possibly from a prompt book. It was most likely written during the reign of James I, who had been James VI of Scotland before he succeeded to the English throne in 1603. James was a patron of Shakespeare's acting company, and of all the plays Shakespeare wrote during James's reign, Macbeth most clearly reflects the playwright's relationship with the sovereign. Macbeth is Shakespeare's shortest tragedy, and tells the story of a brave Scottish general named Macbeth who receives a prophecy from a trio of witches that one day he will become King of Scotland. Consumed by ambition and spurred to action by his wife, Macbeth murders King Duncan and takes the throne for himself. He is then wracked with guilt and paranoia, and he soon becomes a tyrannical ruler as he is forced to commit more and more murders to protect himself from enmity and suspicion. The bloodbath and consequent civil war swiftly take Macbeth and Lady Macbeth into the realms of arrogance, madness, and death. Shakespeare's source for the tragedy is the account of Macbeth, King of Scotland, Macduff, and Duncan in Holinshed's Chronicles (1587), a history of England, Scotland, and Ireland familiar to Shakespeare and his contemporaries, although the events in the play differ extensively from the history of the real Macbeth. In recent scholarship, the events of the tragedy are usually associated more closely with the execution of Henry Garnett for complicity in the Gunpowder Plot of 1605. In the backstage world of theatre, some believe that the play is cursed, and will not mention its title aloud, referring to it instead as "the Scottish play." Over the course of many centuries, the play has attracted some of the most renowned actors to the roles of Macbeth and Lady Macbeth. 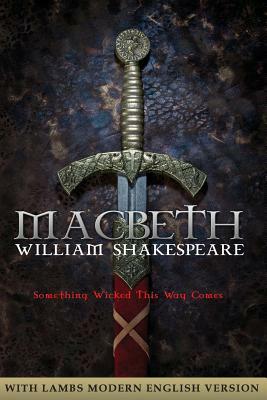 Macbeth, a duke of Scotland, receives a prophecy from a trio of witches that one day he will become King of Scotland. Consumed by ambition and spurred to action by his wife, Macbeth murders his king and takes the throne for himself. William Shakespeare, often called the English national poet, is widely considered the greatest dramatist of all time. Known throughout the world, the works of William Shakespeare have been performed in countless hamlets, villages, cities and metropolises for more than 400 years. And yet, the personal history of William Shakespeare is somewhat a mystery. There are two primary sources that provide historians with a basic outline of his life. One source is his work-the plays, poems and sonnets-and the other is official documentation such as church and court records. However, these only provide brief sketches of specific events in his life and provide little on the person who experienced those events. William Shakespeare's early plays were written in the conventional style of the day, with elaborate metaphors and rhetorical phrases that didn't always align naturally with the story's plot or characters. However, Shakespeare was very innovative, adapting the traditional style to his own purposes and creating a freer flow of words. With only small degrees of variation, Shakespeare primarily used a metrical pattern consisting of lines of unrhymed iambic pentameter, or blank verse, to compose his plays. At the same time, there are passages in all the plays that deviate from this and use forms of poetry or simple prose.